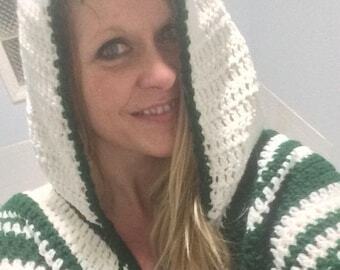 This Hand Crochet Hooded Poncho will be the one you throw on anytime you need extra warmth. Make one for you or a friend. This pattern is written in English, using US terms. Pictures of poncho also included. List of supplies. Easy to follow instructions. 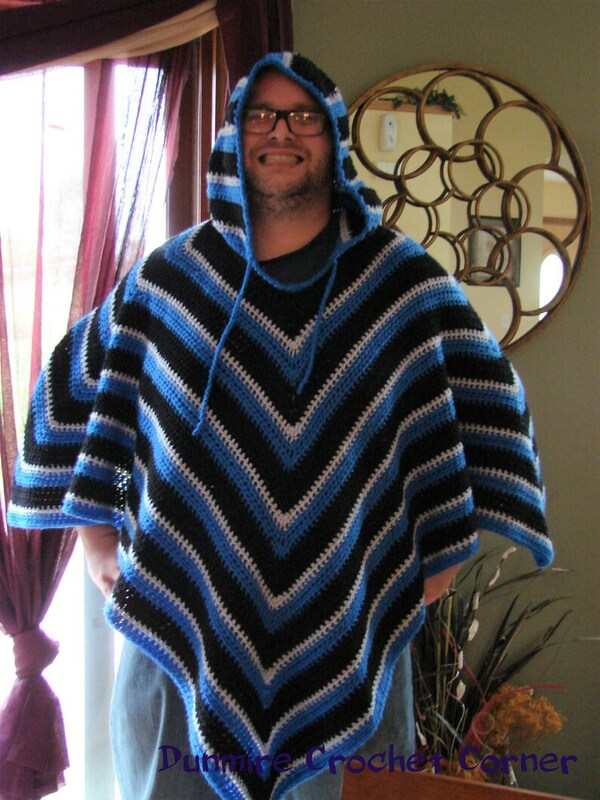 This pattern can make any size or length poncho by just increasing or decreasing rounds until you reach the desired fit. You may use any type of yarn you prefer, I have used Acrylic yarn. This pattern is copyright Dunmire Crochet Corner ©2018 so Please do not copy, share, adjust or resell my pattern.